What drew me to this book was the message from the author, her reasons behind her need to write this story and I loved that she saw that niche that no-one else had yet filled and fill it she did. 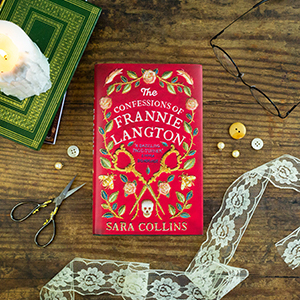 The story begins in 1826 with Frannie Langton writing down her version of events leading up to her being charged with the murder of her master and mistress, scientist George Benham and his wife Marguerite, while awaiting her trial. Frannie had been born and raised in Jamaica, a slave girl working on a sugar plantation. The first section of the story given to describe in unforgettable detail how her life was there. The cruel, degrading and sickening ways which she had to accept as her life. The plantation owner undertakes an experiment to see if negroes can be educated and with Frannie firmly in his sights embarks on terrifying experiments with her. 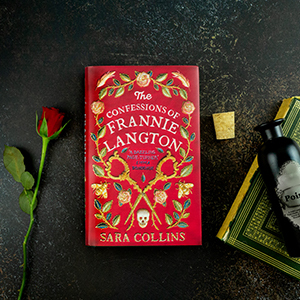 When Mr. Langton has to flee Jamaica he takes Frannie with him to London and ‘gifts’ her to George Benham to do with has he pleases. George Benham sees himself as a bit of a modern thinking man or likes to be seen that way on the outside but nothing was further than the truth. Frannie is singled out to be the mistress of the house’s maid where an irresistible attraction grows between the two women, finally leading to a very intimate relationship. The marriage between George and Marguerite one that was never going to work but divorcing would have been too greater scandal. Marguerite is delicate in many ways, often being visited by the doctor, having bad blood sucked from her by leeches and taking laudanum, a very addictive and dangerous drug. The love story between them is at times quite beautiful, giving Frannie a glimpse of what it is like to be genuinely loved and catered to. This is extremely dangerous ground for them both with the story going into new depths. 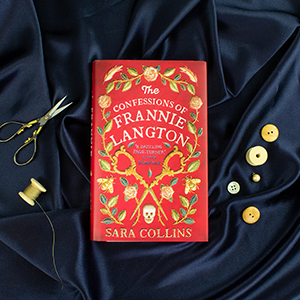 Frannie writes her memoirs in prison as the trial takes place. This was a very captivating story, very raw with nerve endings exposed as far as emotions go. Beautifully written and as far as what the author was after spot on. I wish to thank NetGalley and the publisher for an e-copy of this book which I have honestly reviewed. Sara Collins is of Jamaican descent. She studied law at the London School of Economics and worked as a lawyer for seventeen years before doing a Master of Studies in Creative Writing at Cambridge University, where she was the recipient of the 2015 Michael Holroyd Prize for Creative Writing. She lives in London, England. 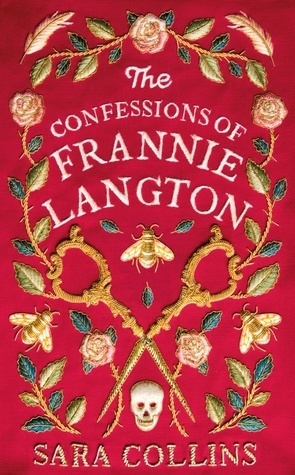 The Confessions of Frannie Langton is her debut novel, and was shortlisted for the Lucy Cavendish Prize.